Food Chemical - Industries - ZT | Zippertubing Co. In food and chemical processing facilities, extreme temperatures exist, ranging from low to high. High temperatures are necessary for melting compounds or catalyzing reactions, and low temperatures are used to freeze, limit reactions, or keep elements in a solid state. As with many production facilities, once the lines are running, you want to avoid having them shut down or stop. When processing large batches or complicated mixtures, it can be very costly and frustrating to have to stop and start again or to have to stop and scrap any in-process material. Depending on the production line, there could be tens or hundreds of sensors, switches, and relays that all need to be working to keep the lines up. EMI or damaged wires could take out one of these components and cause large production problems. 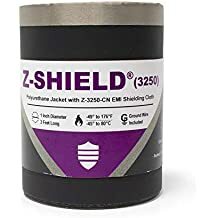 These issues can be addressed or prevented by adding Zippertubing’s EMI shielding and cable protection. With a vast array of raw materials, Zippertubing® is able to create a custom-engineered solution that fits your specific needs, to ensure reliable and continuous production. Here are just some of the products we have related to the Food & Chemical industry! In the U.S., the Food & Drug Administration (FDA) is responsible for some of the oversight of food and chemical companies, requiring them to comply with any regulations that are applicable. 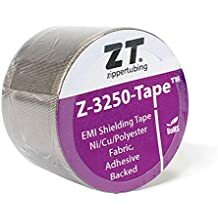 The Zippertubing® Company has extensive knowledge and materials to create custom solutions that cover any component of food and chemical EMI shielding, thermal management, cable management, and heat-shrink repair or maintenance needs. For precise processing of food and chemicals, all of the components inside a facility must be controlled. Zippertubing® offers a variety of materials that are suitable for use in these demanding factories. From flexible polyurethane coated fabrics to silicone or neoprene rubber materials, there are usually several different styles and grades of material to choose from. Why use Zippertubing's Cable Management products in the Food & Chemical Industry? Secondary protective covering to catch potential debris or contaminants. Smooth, easy to clean cable bundling for plants with high particulate counts or where splattering or spillover occurs. Easily installed and effective EMI shielding for critical components. Wrap-around abrasion protection for high wear areas of cables, hoses, rails, or other parts. Pipe or hose protection that can work in high- and low-temperature extremes. Non-metallic polymer protective covers that will not corrode like metals.